Farming has been in John Connell's family for generations, but he never intended to follow in his father's footsteps. Until, one winter, he finds himself back on the farm and begins to learn the ways of the farmer and the way of the cows. Connell records the hypnotic rhythm of the farming day - cleaning the outhouses, milking the herd, tending to sickly lambs, helping the cows give birth. But alongside the routine events, there are the unforeseen moments when things go wrong: when a calf fails to thrive, when a sheep goes missing, when illness breaks out, when depression takes hold, when an argument erupts and things are said that cannot be unsaid. The Cow Book is the story of a calving season. It is also the story of the cow itself, from its domestication and worship as a God by the Ancient Egyptians to the modern practice of mechanized herds, via the figure of the cowboy, the destruction of the American buffalo, the demise of the aboriginal jackaroos and the consequences of BSE. 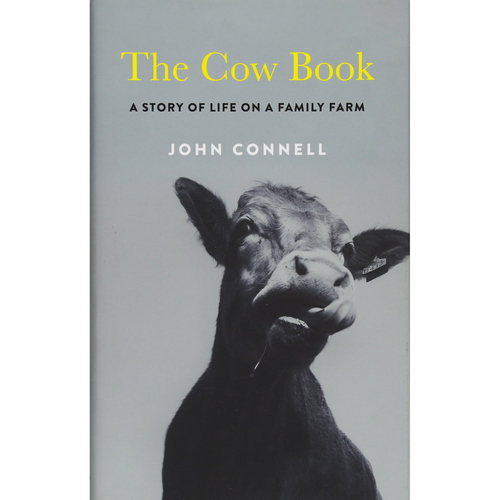 And, above all, it is the story of Connell's life as a farmer, of his relationship with his birthplace of County Longford, with the community around the family farm, with the animals he tends, and with his father.